MANILA, Philippines- In 2014, Camarines Sur third district representative and vice presidential candidate Leni Robredo drew praises from netizens after a photo of her waiting for a provincial bus to Naga City made rounds on social media. 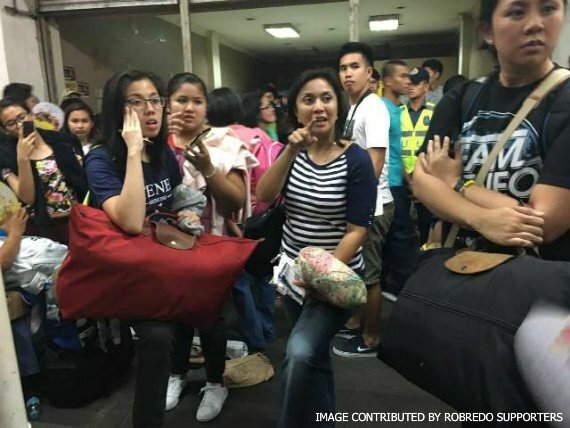 Vice presidential candidate Leni Robredo preferred to take bus ride going to Bicol. It appears that Liberal party’s bet for vice president still enjoys commuting despite her stature and the upcoming elections. In fact, a netizen shared his Uber driver’s experience with the lawmaker. According to a certain Wado Tan Siman, his Uber driver was the one who drove Robredo to the bus station when she recently went home to Bicol. According to the Uber driver, Robredo opted not to talk about the upcoming elections and her vice presidential candidacy. Instead, the vice presidential aspirant and the driver’s conversation revolved around the latter’s family. Moreover, Robredo treated the driver with a cheeseburger ordered from a drive-thru at fast food restaurant McDonald’s. In response, the female solon smiled back and thanked the driver. In her interview with the Philippine Daily Inquirer in 2015, Robredo revealed that she prefers taking bus rides from Naga to Metro Manila and vice versa as it allows her to sleep and rest during the trip. Moreover, she finds it more economical as she only had to spend P1,000 compared to the P3,000-one-way plane fare. Aside from taking the bus, Robredo, like any ordinary Filipino, drives her own car and doesn’t have security detail. According to her, these help her maintain her core values. “It is important for me to see myself on the same level with the ordinary people. Once I see myself higher than them, that will be my downfall,” Robredo explained.